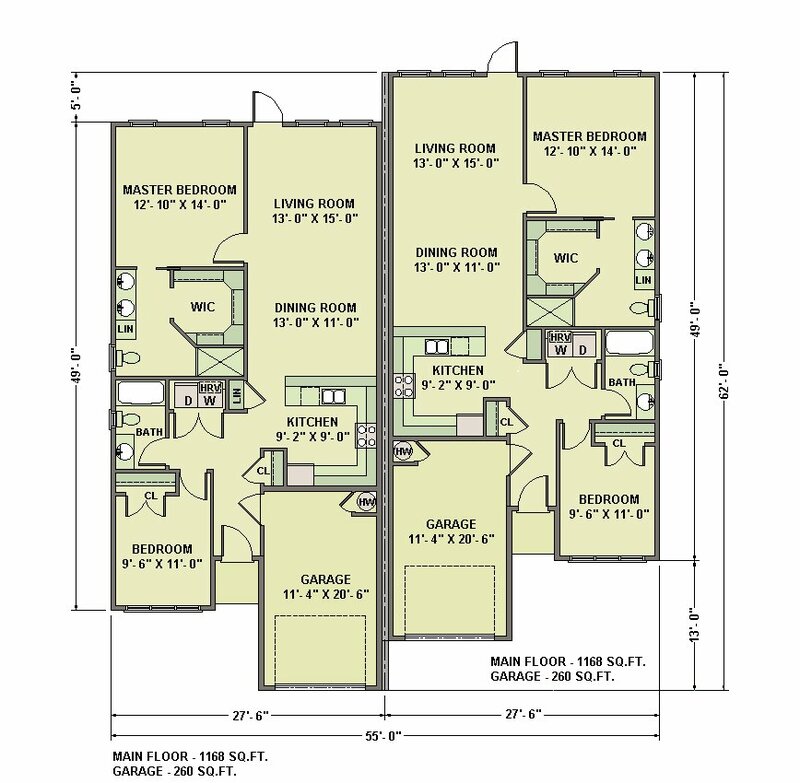 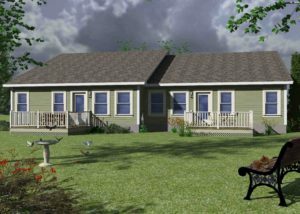 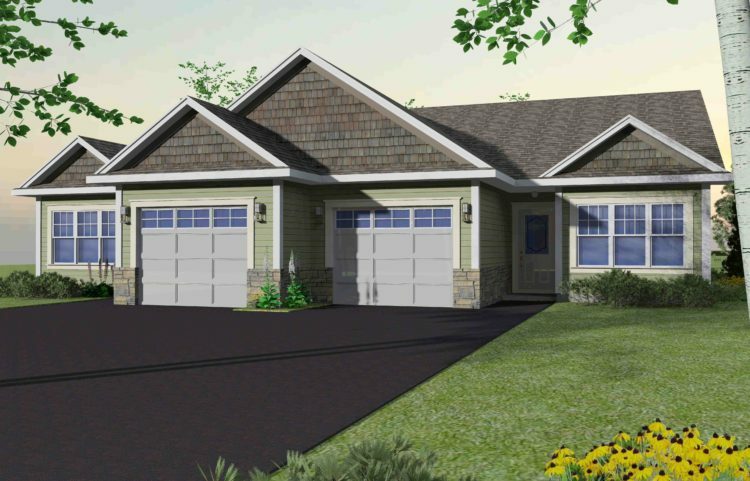 This semi duplex on slab plan is perfect for empty nesters or for a young couple just starting a family. Everything is on one level. 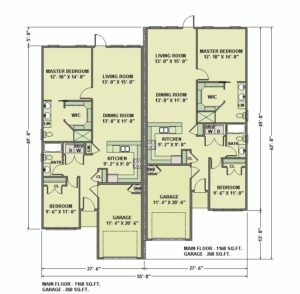 There is an open kitchen, dining and living area, two bedrooms, and two full baths. 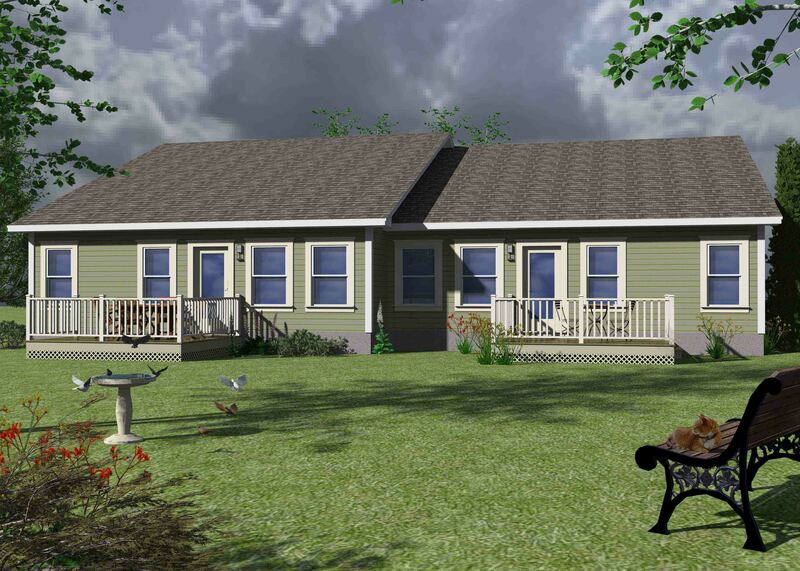 Everything you need to enjoy your home life.